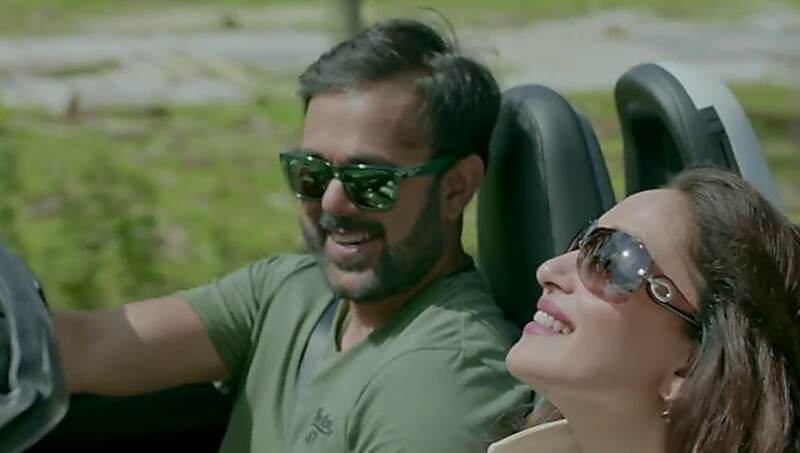 In this summer everyone’s Bucket List got ticked with Madhuri Dixit and Sumeet Raghvan’s Marathi film which released on 25th May 2018. 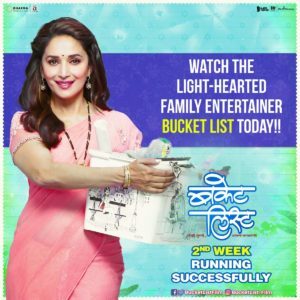 Though Bucket List is Madhuri Dixit’s debut Marathi film yet it received overwhelming response from all over the world and still receiving. 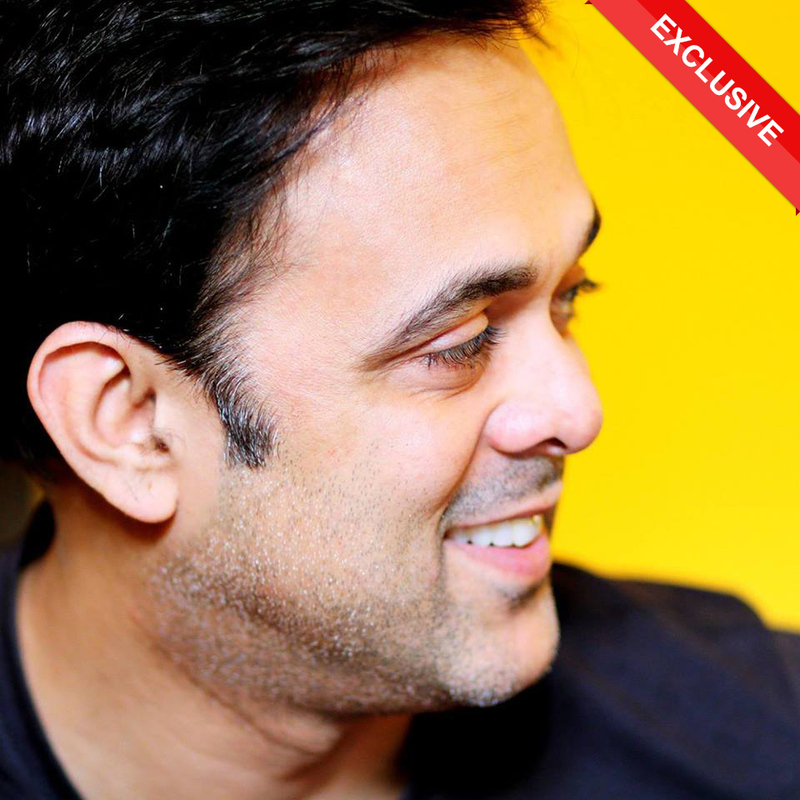 Popular actor Sumeet Raghvan is a charming versatile actor who is itself a brand. In short he is a complete package. 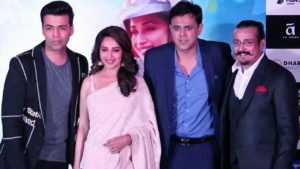 Sumeet Raghvan who played lead role against Madhuri Dixit as Mohan Sane has received very much appreciation and he is still getting the love of audience. On this occasion we decided to talk to him about his experience in this exclusive interview. Let’s see what he has in store for us. MarathiCelebs : Hello and welcome Sumeet to MarathiCelebs.Com. First of all congratulations for Bucket List’s success. After releasing in approx 409 screens it had the box office collection of more than 3.66 cr in barely 3 days. What do you think made it so successful ? Sumeet : Hello and Thank you ! Well, I would say the biggest reason for this huge success was of course Madhuri Dixit. Her debut Marathi film was the biggest attraction. 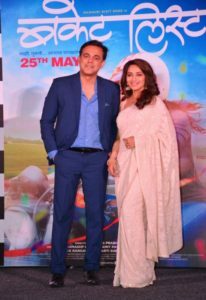 Plus my fans who love to watch my work were really excited to watch mine and Madhuri’s pairing, how it looks, how it works, on-screen chemistry, etc. So these were the definitely positive aspects. Not only these but there are so many other positive aspects which make this movie interesting like songs are really good, storyline, the title itself is something which increases the curiosity. MarathiCelebs : Bucket List is a film which has feel good factor. What is Bucket List to you ? Sumeet : I don’t have my Bucket List yet but each actor loves to play different and beautiful characters. Fortunately for me in this year I got so many different roles, different projects like Aapla Manus, Hamlet, Bucket List and other than this soon my two more films will release. So, I would say as an actor I am happy and few things on my wish list are surely ticked. Also, as a human being I feel that I should get to live happy and stress free life. Plus a good supportive family is a blessing and I must say I am blessed to have all of this. What else is needed for a beautiful life ? MarathiCelebs : Bucket List is about Madhura exploring herself. Did you explore anything about yourself or Mohan Sane while doing the film ? Sumeet : We always get something, we always keep exploring something. In each project I do, I get a beautiful group. I got an opportunity to work with various directors like Satish Rajwade, Tejas, also with Chandrakant Kulkarni after 28 years. Also, I get to work with various artists, actors, different teams with different projects. So as an actor and as a person I am very much satisfied to have such amazing opportunities. I received many compliments, beautiful feedbacks and I feel what else is required for an actor to be happy. MarathiCelebs : Definitely. It’s a treat to watch your work. You sure are a wonderful actor but apart from your amazing acting skills what do you think made your role (Mohan Sane) more appealing ? 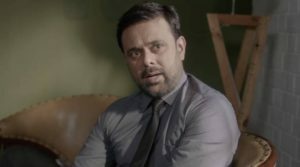 Sumeet : Well, until now people have seen me in light hearted characters whether it be Sahil Sarabhai from Sarabhai Vs Sarabhai, Apurva from Sajan Re Jhooth Mat Bolo or Vasant Ghotala from Badi Dur Se Aaye Hai these and other roles had humorous shades. In this year all the projects I did were completely different. My Aapla Manus’s character didn’t have any comic aspect or even Hamlet for that matter. In Bucket List people got to watch my romantic side. It was a new shade of Sumeet Raghvan. So I think it was definitely a plus. MarathiCelebs : Apparently the romantic side worked really well and it was opposite none other than the queen. She is India’s dhak dhak girl. How was this experience ? Did you feel any pressure while working with her ? Sumeet : It was a very beautiful experience. Though she is a dhak dhak girl but while working even my heart was doing dhak dhak. Of course she is a mega star but still she is really simple and a wonderful human being. A real Marathi woman. In fact I would say there was a comfort and a pure bliss while working with her. Also, I would like to share not only this but this year I got a chance to work with other big Marathi stars also, to name one Nana Patekar It’s a beautiful experience working with these stars and they are very simple yet passionate about their work. MarathiCelebs : People are receiving Mohan Sane’s character really well. They have got to see your different shade. They are touched. Also, they are appreciating you for this very much. How do you feel about this? Sumeet : It’s surely a different type of experience. I had a different image until now and this time I have tried something new. I even tried to experiment with my look by growing beard for this role. As an actor I got a chance to work beyond my comfort zone. He is a typical career oriented loving family man. after few years of marriage there’s a stage where unintentionally partners are taken for granted by each other. Or even parents for that matter. The story revolves about such things and how Madhura reciprocates to all of this. 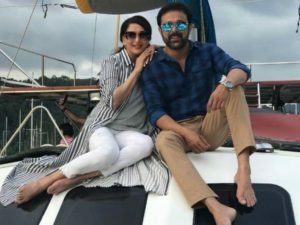 MarathiCelebs : What is more exciting, Bucket List’s huge success or working with Madhuri Dixit ? Sumeet : Both the things come hand in hand. 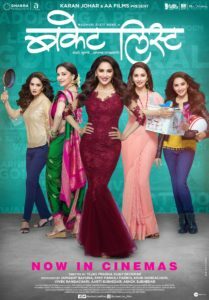 I am a part of such a beautiful film and working with Madhuri is an icing on the cake for sure. Both the things are amazing. MarathiCelebs : What do you think is the USP of the film ? 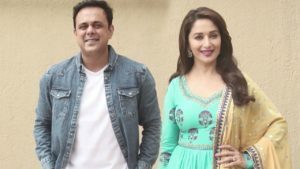 Sumeet : As I said earlier it’s definitely Madhuri and story, concept does matter a lot. Plus the star cast. We all are the actors of different styles and gathering all of us here is also USP. Actually I would say Bucket List is full of USPs. MarathiCelebs : Being an actor and an audience too, do you think Marathi Cinema is getting better and moving forward towards success ? Sumeet : Yes, definitely. Today many new directors, writers are coming up with various and unique concepts which are making Marathi cinema better and better. We have abundance of talent now in Marathi we are ready to experiment new things which is giving it more success. Also our audience is also very supportive and welcoming, they are receiving it well. There are no such stars in Marathi but scripts and great actors are the ones who are making it possible. MarathiCelebs : What message would you like to give to audience ? Sumeet : To be honest I am very thankful to the audience for all their love, support and faith in me. Whether it be my serials, films, plays, music reality shows or any project they keep showering their love and it surely gives me the motivation to keep entertaining them with my work. 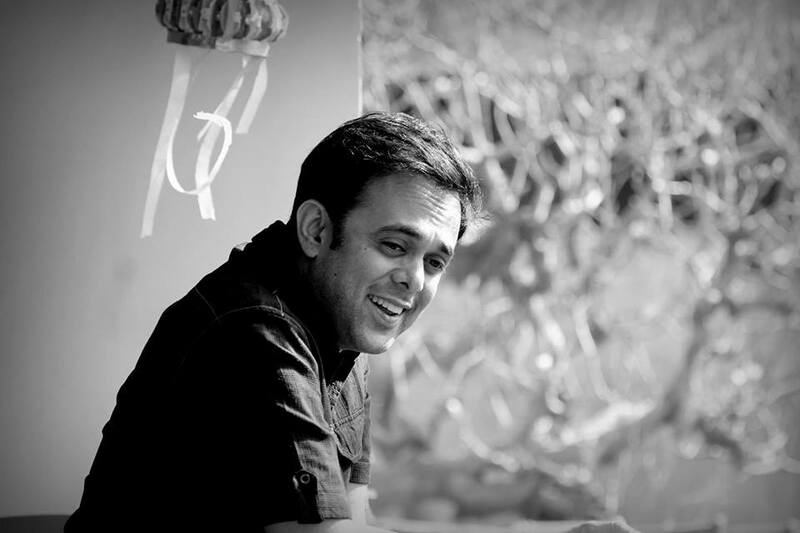 Thank you so much Sumeet for talking to MarathiCelebs.Com. We wish you all the very best for all your future projects. Marathi Actor, Marathi Celebs, Marathi Actors, Marathi Celebrities, Marathi Actors Wallpapers, HD Wallpaper, Marathi Entertainment Industry, M town, Celebrities, Directors, Producers, Marathi Directors, Marathi Producers, Lyricist, Screenwriter, Cast and Crew, Cast & Crew, Marathi Movies, Films, Songs, Marathi Serials, Teasers, Trailors, Trailers, Selfie Video, video profiles, Celebs Katta, MarathiCelebs.Com, Marathi Website, Film Reviews, Articles, Videos, Marathi Actresses, Marathi Actors Biography, Marathi Actresses Images, Pics, Upcoming films, Upcoming Serials, TV Updates, Film Industry, Photos, Promotions, Interviews, New Films, Selfie Interview, News, Trailers, Zee marathi, zee yuva, star pravah, zee talkies, New Release, Blockbuster, Hit Films, Bucket List, Madhuri Dixit – Nene, Madhuri Dixit, Karan Johar, Ranbir Kapoor, Sumeet Raghavan, Sumit Raghavan, Sumeet Raghvan Candid About Bucket List | Exclusive Interview, Sumeet Raghvan Interview, Pradeep Welankar, Shubha Khote, Vandana Gupte, Ila Bhate, Sumedh, Mustang Films, Dharma Productions, Mohan Sane.